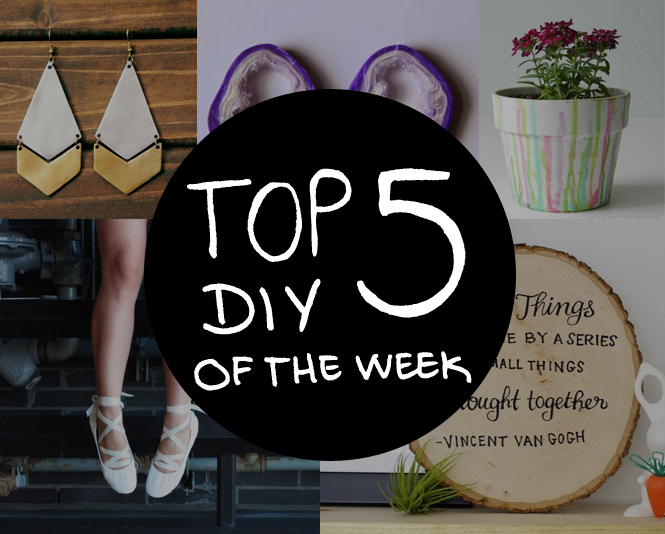 You must know by now how I love watercolor, so it must not come as a surprise to have this diy on my top 5. 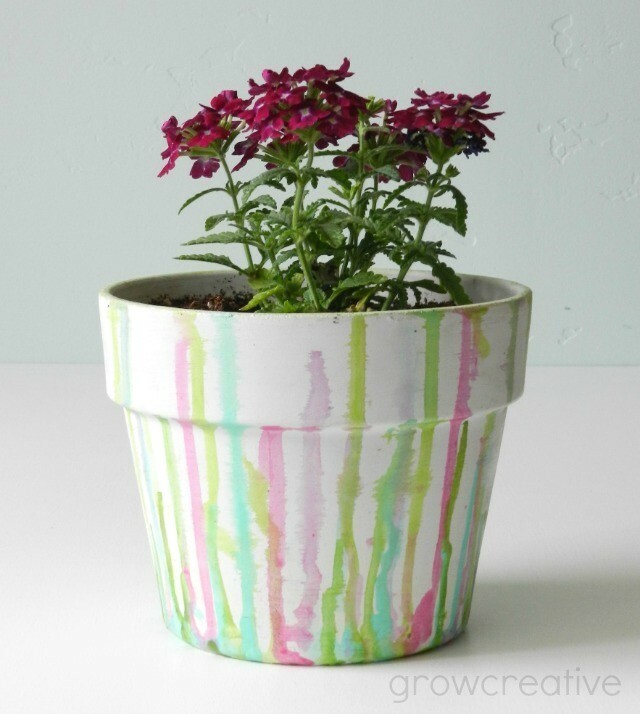 Check out the dripped watercolor pot tutorial from Grow Creative. 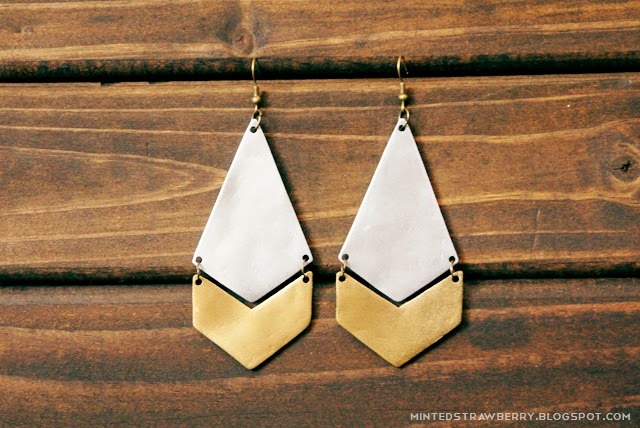 Aki from Minted Strawberry posted these antropologie inspired earings this week. 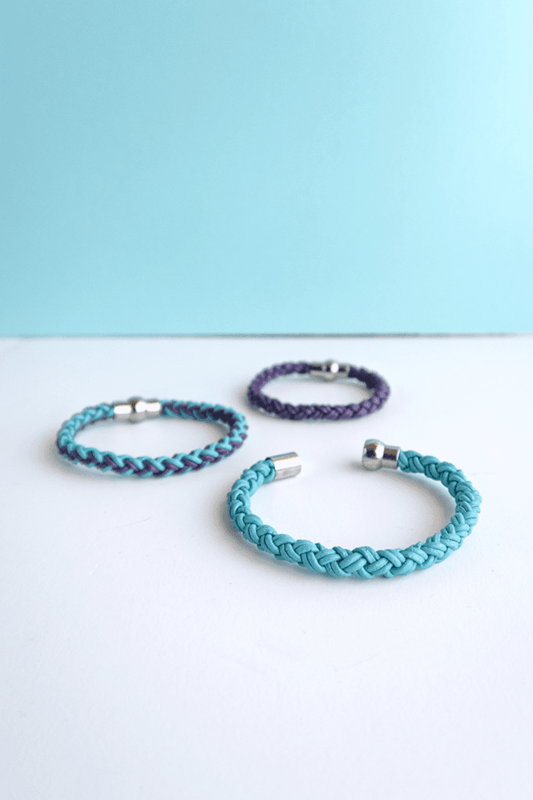 Love the geometric style, too bad I don't have shrink plastic or I would diy these this weekend. If you have the faux precious stone fever, you will definetly want to check out this tutorial from Fall For DIY, there is a lot of steps till you archive the finish product, but it looks so real that it is totaly worth the efort. Simple way to display your favorite quote from At Home In Love. Finishing of this top5, I discovered this adorable ballet flat update, that makes them look even more like real point shoes. From Free Series blog.